Shane Rogers took his own life in a cell at Cloverhill courthouse, despite being on suicide watch. A REPORT INTO the death of a prisoner in a Dublin courthouse has found multiple failings and mistakes by authorities. Judge Michael Reilly, the Inspector of Prisons, found in his report that there had been inadequate record keeping and a failure by parts of the prison system to communicate with each other. He also noted failure to adhere to stated work practices and the absence of governance to ensure compliance with work procedures. Shane Rogers, who had been charged with murder, was on suicide watch when he was found unconscious in a holding cell at Cloverhill courthouse in west Dublin on 20 December 2011. He was pronounced dead at a hospital a short time later. The report notes that he had taken his own life. The report found that a number of problems arose once Rogers was transferred to the courthouse from Cloverhill prison for a hearing. Despite instructions that Rogers was to be checked every 15 minutes, the report found Rogers was not checked from 12.03pm until 12.58pm, which he was found unconscious by officers and an alarm was raised. In a chronology of events, the report notes that Rogers had told his solicitor that he was going to kill himself on 12 December. He had also asked his solicitor to make his will. The report notes that his mother and his solicitor had both telephoned the prison the week before Rogers died to express fears that he was suicidal. Despite being classified as a vulnerable prisoner who needed protection while in Cloverhill Prison, staff at the courthouse told Justice Reilly that they only had basic details about Rogers and that they knew nothing about his vulnerability. However the judge emphasises that even if courthouse staff had known of Rogers’ vulnerability, the tragedy would not necessarily have been averted. A Chaplain was asked to call Rogers’ family at 2.30pm on 20 December, 27 minutes after he had been pronounced dead. However the report notes that the family already knew because a newspaper had contacted them. This Report does not set out to scapegoat prison officers who, because of systemic failures and a lack of oversight by superiors, did not adhere to the highest standards. This Report should be used to address such failures, to provide appropriate oversight and to act as a warning to public servants at all grades that they must be careful and scrupulous when attending to their public duties in order that the general public can have complete confidence in the system that operates in our prisons. 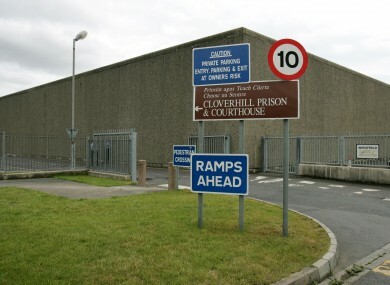 The report noted that medical staff and prison officers at Cloverhill Prison acted properly and responsibly while Rogers was in their care during his detention. The report by the Inspector of Prisons was separate to a Garda investigation and the Coroner’s inquest. I fully expect the recommendations contained in the Report to be acted upon and all necessary steps taken to ensure the deficiencies identified by the Inspector are addressed and that such a tragic occurrence can be avoided in the future. Shatter asked Justice Reilly to carry out an independent investigation on 22 December 2011, two days after the death of Shane Rogers. 32-year-old Rogers had been charged with the murder of GAA player James Hughes in Dundalk in Louth in December 2011. He had also been accused of shooting a taxi driver and a female companion of James Hughes. Email “Report into prisoner death finds multiple mistakes were made”. Feedback on “Report into prisoner death finds multiple mistakes were made”.